You are here: Home › Israel / Palestine › Palestinian Recognition of Jewish State? Palestinian Recognition of Jewish State?
. . . 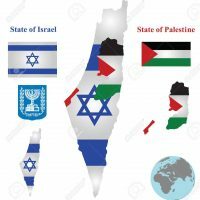 The Israeli demand that Palestinians recognize Israel as the nation-state of the Jewish people was injected into negotiations for a final peace settlement by Prime Minister Benjamin Netanyahu in his important Bar-Ilan address of June 14, 2009.
. . . . The idea enjoys widespread support among the Israeli public, since it seems only reasonable that former foes, signing on to a permanent peace and an “end to the conflict,” come to terms with the reality of Israel’s Jewish identity. . . . . Clearly such recognition from an official Palestinian source would be more than welcome, were it achievable. Palestinian acceptance of Israel’s Jewishness, even if only declaratory, would be a good thing. But from a strategic perspective there is little for Israel to gain in giving this demand a high priority or by making it a sine qua non, an essential condition. . . .
Prof. Dowty went on to relate “the pathetic comedy played out during the Oslo process over the demand that the PLO revise its Charter to eliminate calls for the destruction of Israel.” Click here to read more at The Forward website.